RT’s reporting on US issues was part of a “multifaceted Russian campaign” to undermine America, according to the outgoing Director of National Intelligence James Clapper. “RT was very active in promoting a particular point of view, disparaging our system, our alleged hypocrisy about human rights, etc. 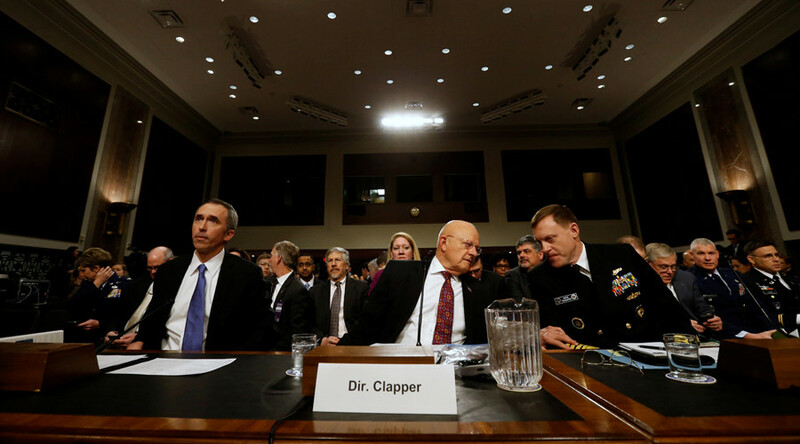 Whatever crack, fissure they could find in our tapestry, they would exploit it,” Clapper told the Senate Armed Services Committee on Thursday, at a hearing about cybersecurity challenges. DNI Clapper says fake news also altered the election, so then why don't they just shut down @CNN and @MSNBC the leaders in fake news? In addition to hacking, Russia used fake news, social media and RT to influence the recent US elections, Clapper argued. Though the US intelligence community has not been able to gauge the actual impact of any of these action,“the totality of that effort, not only as DNI but as a citizen, I think is a grave concern,” he said. “We could do with having a USIA on steroids to fight this information war a lot more aggressively than we’re doing right now,” Clapper later said, referring to the body that oversaw US government propaganda between 1953 and 1999, when it was replaced by the Broadcasting Board of Governors (BBG). He qualified the statement as his personal opinion. Earlier in the hearing, committee chairman John McCain (R-Arizona) asked whether Russian interference in the election would qualify as an act of war. Flanked by NSA chief Admiral Mike Rogers and the Pentagon’s Undersecretary for Intelligence Marcel Lettre, Clapper agreed with outraged Democratic Senators that President-Elect Donald Trump was unfairly disparaging the intelligence community. “I think there is an important distinction between healthy skepticism that policymakers, including the first policymaker, should always have toward intelligence… and disparagement,” he told Senator Claire McCaskill (D-Missouri). The DNI also took a shot at WikiLeaks cofounder Julian Assange, describing him as "holed up in the Ecuadorian embassy in London because he’s under indictment by the Swedish government for a sexual crime." Several times during the 3-hour hearing, Clapper and Rogers referred to the saying that people living in glass houses should not be throwing stones, mainly to argue that cyberattacks need to be separated out from espionage, which everyone engages in. “We live in a big glass house,” warned Senator Thom Tillis (R-North Carolina), citing a study about the US influencing elections more than twice as often as Russia has been accused of. The study by political scientist Dov Levin of Carnegie Mellon University covers the period between 1946 and 2000, and does not include military coups and regime change efforts following the election of candidates Washington disliked, or election monitoring and other “general assistance” programs. President Barack Obama received a classified briefing about the reported Russian involvement in the election on Thursday morning, AP reported. He had asked US intelligence agencies to conduct a full review of “Russian hacking” last month, asking that it be completed before he leaves office on January 20. An unclassified version of that report will be released to the public "early next week," Clapper told Congress.